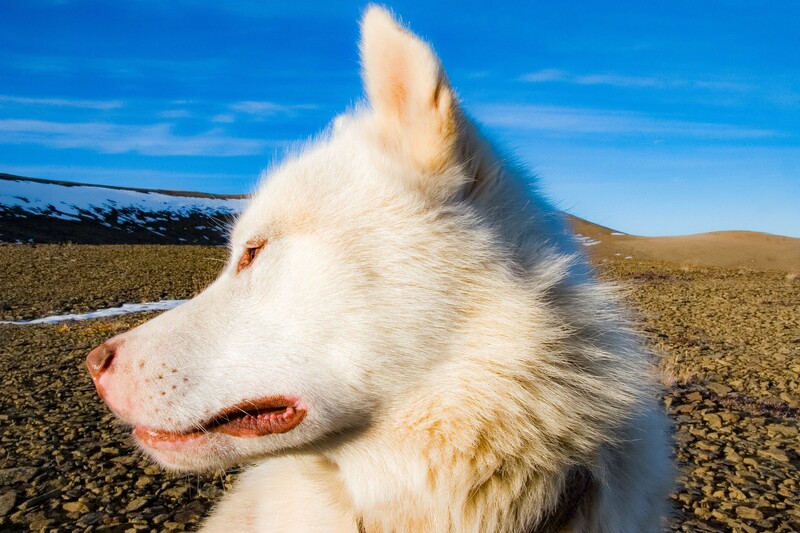 Greenland, Constable Pynt, Liverpool Land, Chikka's Profile, 2006 - Chikka, the dog whose occupation was to protect the settlement at the Constable Pynt airstrip from bears was the most amazing animal I ever met. He he was so spirited, running full steam up the hill in snowdrifts. He tagged along one afternoon as I walked miles up to the plateau above Constable Pynt.